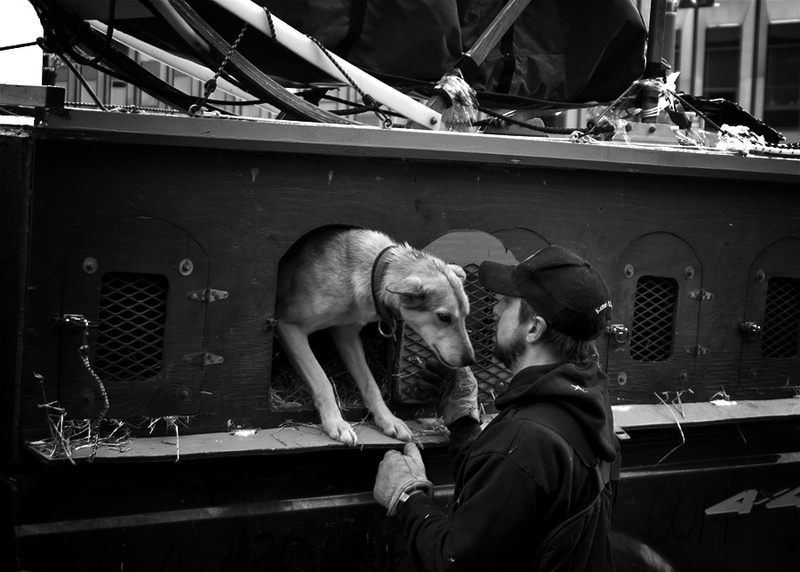 Iditarod start in Anchorage, AK. Great shot, their complicity looks real. nice! man and man's best friend! Very sweet shot…I really like it in black and white.